OLD SAYBROOK – In 2013 Old Saybrook resident and runner Bill Casertano noticed the mounting litter along the roadside. He decided to do something about it and started the annual event, Old Saybrook Green Up Day. Join Casertano in this effort on Saturday, April 30, for the Fourth Annual Green Up Day, kicking off at 8 a.m. The rain date is Sunday, May 1. Community members will once again head out to all parts of town throughout the day to clean up the litter found everywhere from school grounds and parking lots to marshes and parks. Busy day? Take a bag to the park, Little League Opening Day, the Park and Recreation’s fishing derby, or wherever else your day takes you, fill it up, and throw it away at one of the event’s convenient locations. It’s a great example to set for kids, to show everyone working together to keep their favorite places, and the roads to them, clean. Volunteers may collect trash individually in their own neighborhoods or meet up with others at the Green Up Meet Up on the green, at 8 a.m. before heading out. Take this critical step to prevent roadside litter from becoming not only a blight on the town, but also a threat to inland waterways and Long Island Sound. By simply walking your neighborhood, you could have a significant impact on the heath of the area’s beaches, rivers and estuaries. 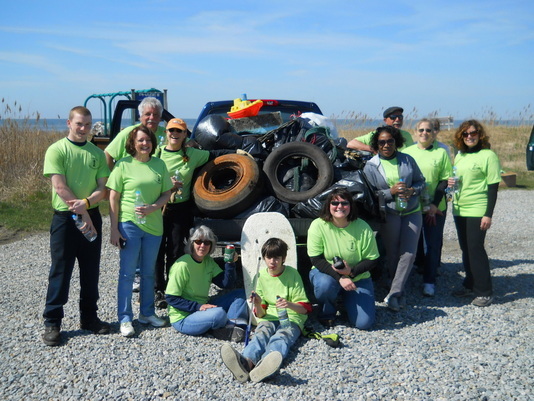 To volunteer or for more information about how and where you can help “green up” Old Saybrook, visit www.osgreenup.weebly.com, www.facebook.com/OldSaybrookGreenUpDay, or email bcasertano@comcast.net. 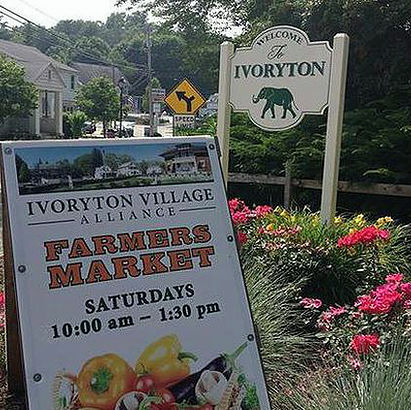 IVORYTON – World-renowned jazz musician Ronny Whyte will be performing a benefit concert for the Ivoryton Players on Saturday, April 30, at 7 p.m. at Centerbrook Meeting House in Centerbrook. Mr. Whyte will perform an evening of songs from “The Great American Songbook,” including works by Gershwin, Cole Porter and Rodgers and Hammerstein. 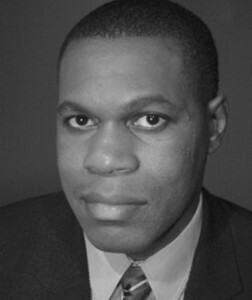 Ronny Whyte is not only considered a premier interpreter of classic American popular song, he is also an outstanding jazz pianist and an award-winning songwriter. 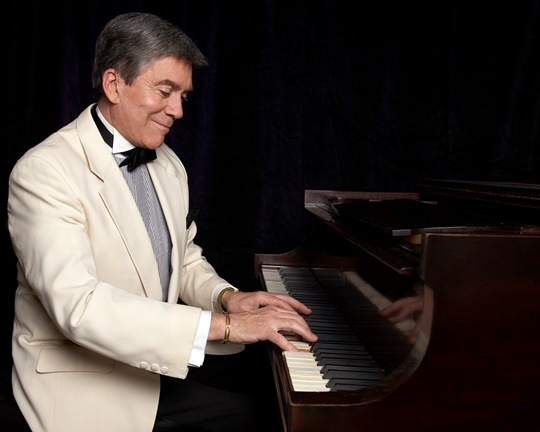 He has been featured on Marian McPartland’s Piano Jazz on NPR and his lyric “Forget the Woman” was recorded by Tony Bennett. He produces and hosts “Midtown Jazz at Midday” in St. Peter’s in Manhattan and was inducted into the Cabaret Jazz Hall of Fame. Ronny Whyte will be accompanied by bassist Boots Maleson. There will be a special guest appearance by Deborah Mott. Tickets are $25 and are available by calling 860-767-7318 or can be purchased at the door (seating is limited). A reception will follow the performance. ESSEX – The Essex Library will present the Connecticut premier of Matthew Silva’s award-winning documentary, “Modern Ruin: A World’s Fair Pavilion,” on Friday, April 29, at 7 p.m. at the Essex Town Hall, as part of the Centerbrook Architects Lecture Series. Philip Johnson’s New York State Pavilion, once the shining symbol of the 1964/65 New York World’s Fair, now sits in the middle of New York City as a haunting reminder of what became of the age of optimism, the early 1960s. 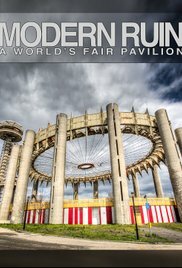 The “Modern Ruin” film tells the story of New York State Pavilion during the glory days of the fair, and chronicles its demise over the past 50 years. The film details its post-fair use as a ‘60s concert venue and ‘70s roller rink, including the years of neglect and recent growing advocacy efforts. 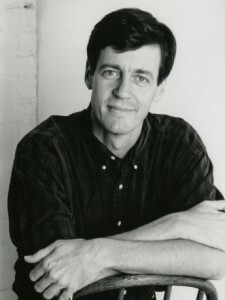 Matthew Silva is a teacher, filmmaker and co-founder of People for the Pavilion, an organization dedicated to preserving the New York State Pavilion. Since 2012, Silva has worked to raise interest and change public perception for what is possible for the Pavilion. With support from a strong social media community and a coalition of various New York-based civic, advocacy and cultural institutions, he produced his 2015 documentary “Modern Ruin” film. This program is free and open to the public. Call the Essex Library at 860-767-1560 for more information or to register. The Essex Town Hall is located at 29 West Ave. in Essex. 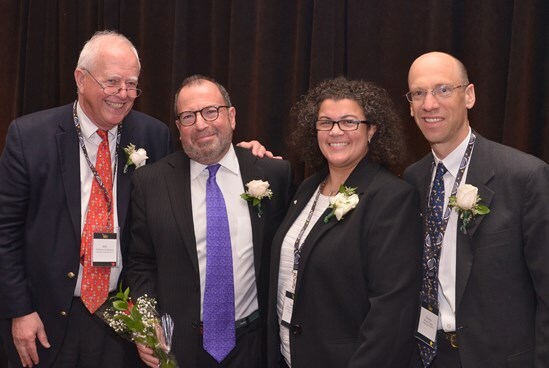 From left to right: CBA President, William H. Clendenen, Jr.; the Honorable Antonio C. Robaina, recipient of the Henry J. Naruk Judiciary Award; CBA Vice President, Karen DeMeola; and CBA President-elect, Monte E. Frank. ESSEX – The Honorable Antonio C. Robaina was recently presented with the Henry J. Naruk Judiciary Award at the Connecticut Bar Association’s annual awards celebration, “Celebrate with the Stars,” in New Britain. Judge Robaina was selected based on nominations submitted to the CBA Awards Committee. Judge Robaina was appointed to the Superior Court in 1998 and is currently assigned to the Hartford Judicial District as the presiding civil judge. From 2005 to 2010, he was the administrative judge in the Windham Judicial District; previously, Judge Robaina served as the presiding judge for civil matters in the New Haven Judicial District, as well as the assistant administrative judge. In 2002, Judge Robaina was the presiding judge for family matters in the Hartford Judicial District. He is one of the few judges who have served in a presiding role in civil, criminal, and family, and has served in judicial districts throughout the state as a trial judge in those same areas. From 1979 to 1998, Judge Robaina was engaged in general practice in New Haven, which included plaintiff’s personal injury, insurance defense, criminal defense, immigration law, and family matters. 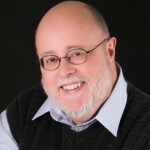 He currently serves as a member of the adjunct faculty at Quinnipiac University. Judge Robaina was one of the original founders and a member of the Board of Directors of the Connecticut Hispanic Bar Association and has served as the chairman of the Diversity Award Committee for the Lawyer’s Collaborative for Diversity. 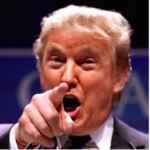 He has been a member of the Rules Committee of the judges of the superior court, and a number of other committees for the Judicial Branch and various bar organizations. Judge Robaina has dedicated much of his time as a mediator in a variety of capacities. 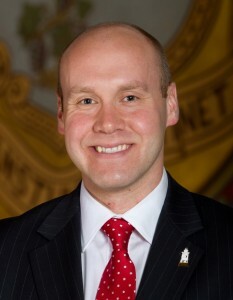 He has participated in the externship programs at both the University of Connecticut School of Law and Quinnipiac University Law School, has mentored law school students through the Connecticut Hispanic Bar Association Mentoring Program, and has mentored other judges in the Judicial Branch mentoring program. Judge Robaina has served as the co-chair of a bench/bar committee with respect to medical malpractice cases as well as the co-chair of the CBA Task Force for the Study of a Mentoring Program, which explored the establishment of a mandatory mentoring program for new lawyers in the state of Connecticut. “Celebrate with the Stars” is dedicated to recognizing Connecticut’s top judges, lawyers and professionals who make a difference through their work by demonstrating allegiance, dedication, conscientious service, commitment and mentorship. The recipient of the Henry J. Naruk Judiciary Award must meet the following criteria: he or she be a member of the Connecticut Judiciary, federal or state court, who has integrity and epitomizes long-term, dedicated, and conscientious service to the community in his or her judicial role; must be a hard-working judge who labors long in his or her duties; and who is selfless in his or her approach to the demands of the judge position. Henry J. Naruk (1928-1991) of Middletown was the 60th president of the CBA. Under his presidency, the CBA successfully ran a then-record number of continuing legal education seminars that had been attended by approximately 5,300 Connecticut attorneys. Also under his astute leadership, the CBA created the Women and the Law Section in 1983. ESSEX – For 46 years, the Essex Foundation has been quietly tending to the unique and special needs of the Essex community, answering calls for assistance when fast action is needed. 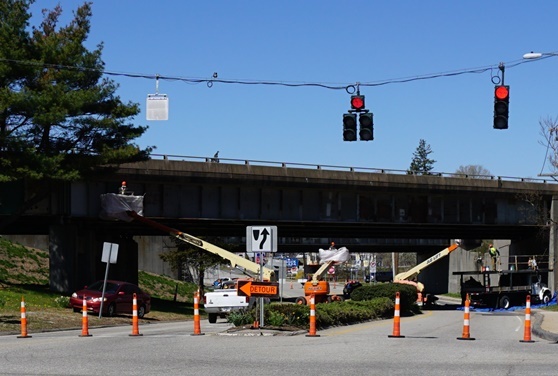 Most recently, the nonprofit group lent financial support to the highway bridge painting project at the Route 9, exit 3 section of town. The Connecticut Department of Transportation’s tree and shrub removal along state highway barriers had further exposed the patched-paint and rusted appearance of the bridge and left the landscape bare. Public outcry over the “tacky” condition of what is considered the gateway to Essex was fierce, with local residents asking town officials to find a solution. That solution came in the form of a collaboration between Essex residents Steve and Susan Bogan, owners of Blast-All Construction, who provided the in-kind donation of project planning, supervision, equipment, and labor services; the Town of Essex who provided police supervision and traffic re-routing services; and the Essex Foundation, the Essex Rotary Club and many individual donors, who together provided a total of $18,000 for the purchase of the paint. The initiative started in 2015 when the Bogans approached the Essex Foundation with a plan for painting the bridge at no cost to taxpayers. As a contractor for state and federal bridge work, Blast-All worked with the CT D.O.T. and the Union Apprenticeship program to have the Essex gateway bridge serve as a training site. The Bogans also met with town officials to secure local police assistance for traffic re-routing and worker safety, while the Essex Foundation, the Essex Rotary Club and many individual donors provided financial support for the paint and material costs. In less than a year, with an entire community behind the effort, the bridge painting work is complete with the exception of the end panels, which are soon to be repaired by the D.O.T. and then painted by Blast-All. The Essex Foundation is now in the planning stages of a grounds beautification project that will include plantings for the area around the gateway bridge. Founded in 1970, the Essex Foundation is dedicated to making a difference in the lives of Essex citizens by providing medical, educational, social, welfare, cultural, recreational and civic support. From the start, the foundation board wanted to make it possible for funds to be made available for special projects that are not typically supported by other non-profits and that required fast local action. In 1982, many local citizens were devastated by heavy flooding that destroyed homes and left people without food, clothing, refrigeration and heat. Because of the structure of the fund, the Essex Foundation was able, on an ad hoc basis, to help many people get back on their feet quickly. Other past projects supported by the Essex Foundation fund, along with individual donations, include the removal of the half-sunken barge in the Middle Cove, pond weed control for the Falls River neighborhood, repair and maintenance of the Town Clock in the tower of the Baptist Church, and the operation and maintenance of the Bumpy Warner Youth House on Bushnell Street used by the Boy Scouts. More information can be found at www.theessexfoundation.org or by emailing contact@theessexfoundation.org. Del-Bouree Bach’s ‘The Good Life’ is one of the signature paintings of the 2016 Elected Artist’s Exhibition. Gallery hours are Wednesday through Sunday, 10am to 5pm, or by appointment. IVORYTON – The Community Foundation of Middlesex County (CFMC) recently presented the Bully-Free Communities Spotlight Award to the Ivoryton Playhouse and to Broadway actor Douglas Lyons for their work in creating and presenting educational productions that foster positive, healthy behaviors and attitudes among young people. 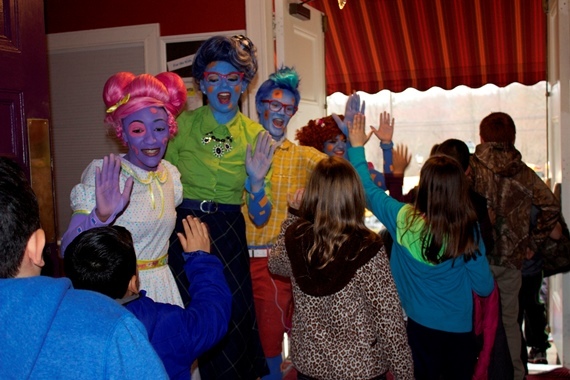 The recipients were recognized at the April 11 world premiere of “Polkadots:The Cool Kids Musical,” which was co-conceived and written by Lyons and performed at the Playhouse for over 1400 elementary school students from Clinton, Chester, Deep River, Essex, Middletown and Portland, in addition to the general public. The CFMC Council of Business Partners Fund, a donor advised fund started in 2009 by a group of local business owners in support of school-based anti-bullying initiatives, in partnership with other organizations, provided financial support for the production and, when necessary, bus transportation for the school systems. “Polkadots” tells the story of Lily Polkadot and her journey to acceptance with the help of her new friend Sky Square in the “Squares Only” town of Rockaway. At the opening night pre-show reception, which took place at Six Summit Gallery in Ivoryton, Mr. Lyons and his creative team spoke about how the events of the Little Rock Nine in 1957 served as the inspiration for the show. Prior to the school performances, a curriculum guide, developed by Rushford, a Hartford HealthCare Partner, was provided for teachers to talk about topics in the musical before the students saw it. 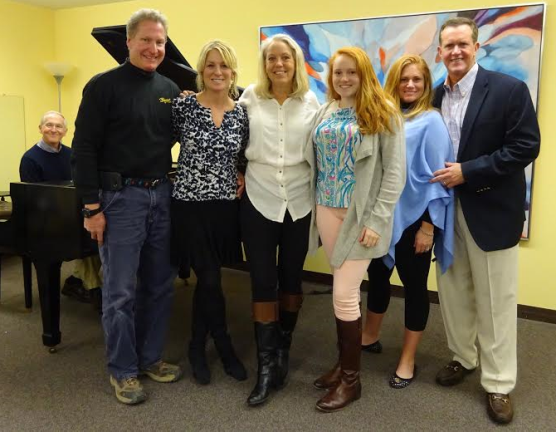 Additional financial support for the production was provided by Marc Blakeman, The Bauman Family Foundation, The Essex Community Fund, and The Thomas J. Atkins Memorial Trust Fund, Bank of America, N.A., Trustee. The Ivoryton Playhouse and Doug Lyons were awarded the Spotlight Award specifically for taking to heart the Campaign for Bully-Free Communities initiative of encouraging everyone to be an UPstander, not a bystander; and for their demonstrated commitment to being “Agents of Change” and ensuring that community youth have the support they need to grow and develop in a healthy and safe environment. For more information on the Campaign for Bully-Free Communities, go to bullyfreemiddlesexcountycf.org or call 860-347-0025. ESSEX – The Ancient Order of Essex Weeders is a group of men who maintain the landscaping in Essex on Rte. 154 at the intersection of Rte. 153. It was founded in 1981 by Bob Swain, who became “Lead Weed,” and was succeeded by Erl Nord. The group is also a social organization that gets together for coffee weekly and includes a book club that meets monthly. The group recently had a retirement party for Sam Rogers. 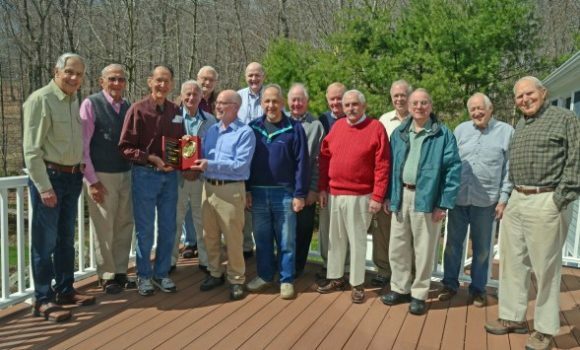 In the photo above, party attendees are shown with new “Lead Weed” Ray Coyle presenting Sam his retirement gift. CHESTER – Regardless of the formal education we’ve received over our lifetimes, continuous learning is what keeps us young, enthusiastic and engaged in retirement. 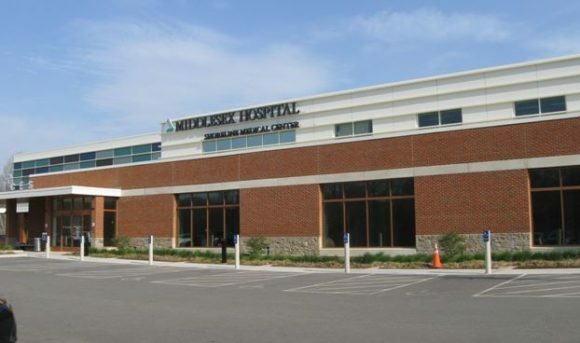 Chester Village West, a senior living community, in partnership with the Wesleyan Institute for Lifelong Learning and Middlesex Hospital, has been offering a series of lectures and informative presentations by biographers, historians and medical experts this spring. The last two programs are scheduled for June 2 and June 28. All lectures, which begin at 4 p.m. in the community’s event room, are free and open to the public. Refreshments will be provided. Each lecture will be limited to 40 participants on a first-come, first served basis; early registration is encouraged. To register, call (860) 333-8992 or visit the website at http://www.chestervillagewestlcs.com/events-and-resources/lifelong-learning-program. Tuesday, June 28, 4 p.m. – Is It More than Just the Blues? Robert A. Grillo, Jr., M.D., a specialist in geriatric psychiatry at Middlesex Hospital, will review the symptoms, diagnosis and epidemiology of depression in the elderly. He will also discuss specific risk factors of developing depression for older persons, treatment options and prevention. Register here. Editor’s note: Located at 317 West Main St. (Rte. 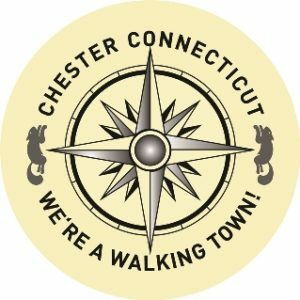 148) in historic Chester, CT, Chester Village West gives independent-minded people a new way to experience retirement and live their lives to the fullest. Since the independent seniors community was founded more than 25 years ago, Chester Village West residents have directed and embraced active learning. Within a small community of private residences that offer convenience, companionship, service and security, Chester Village West enriches lives with a comprehensive program that enhances fitness, nutrition, active life, health and well being. Find out more at chestervillagewestlcs.com. CHESTER – Troop 13 – Boy Scouts of America congratulates Benjamin James Toles of Chester for earning the rank of Eagle Scout. An Eagle Scout Court of Honor was held for Toles on Sunday, March 20, at the Chester Meeting House. To become an Eagle Scout, Toles earned 38 merit badges and advanced through the seven scout ranks by learning Scout and Life skills while simultaneously providing leadership to Troop 13 and service to his community. One of the final requirements for the Eagle Rank is to show leadership in and complete a service project that benefits the boy’s community, school or religious institution. Toles used leadership skills he learned by attending summer camp with Troop 13, participating in the Troop 13 Philmont Trek in 2014 , attending the 2013 National Boy Scout Jamboree and successfully completing the Boy Scouts National Youth Leadership Training. 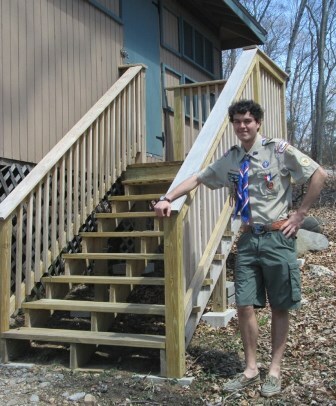 Toles’s Eagle Scout Service project involved developing and implementing a plan to demo eleven sets of non-compliant aged wooden stairways on cabins in and around the Sachem Village portion on the grounds of Camp Hazen YMCA and replace them with new treated wood, code-compliant steps, platform and railings. Completing this project entailed working with various private groups, securing donations for supplies, and designing and overseeing volunteers through the demolition, construction and installation period. The completed project improved the safety of the venue while maintaining its rustic appearance. This project is a benefit to all the visitors, schools and youth groups that utilize the facilities of Camp Hazen in Chester. Toles is a senior at Valley Regional High School and a member of the men’s cross country and the men’s track and field team. 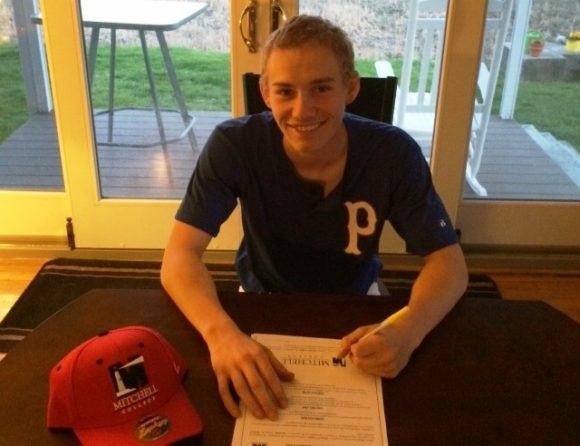 He plans to attend the University of Rhode Island in the fall. About Troop 13 – BSA: Troop 13 Boy Scouts serves boys ages 11-18 of Chester and Deep River. The purpose of the Boy Scouts of America is to help young men develop their character and life skills all while having fun. There is much emphasis placed on assisting these young men to develop into strong healthy citizens who will lead our communities and country in the years ahead. The Boy Scout methods help to promote these ideals through the challenge of putting them into practice with the Troop Program. This is done in a way that is both challenging and fun. To learn more information about joining Troop 13, contact Scoutmaster Steven Merola at 860-526-9262. DEEP RIVER – A free genealogy program will be given on Monday, June 27, from 6:30 to 8 p.m. at the Deep River Public Library. The Family History Center of Madison will help you research your family’s story. They will introduce you to available resources for researching and instruct you on where to look. They will help guide you with questions and help you to avoid common pitfalls in discovering the secrets of your family history. This program is free, but registration is required. For more information, go to http://deepriverlibrary.accountsupport.com and click on the monthly calendar or call the library at 860-526-6039 during service hours. 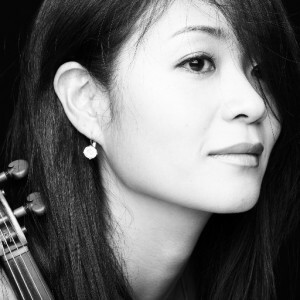 OLD LYME – Musical Masterworks’ 25th Anniversary Season will end with a burst of excitement with eight extraordinary musicians performing works of Richard Strauss, Bartók, Mendelssohn and contemporary composer Giovanni Sollima. The last concerts of this season will be held Saturday, April 30, at 5 p.m. and Sunday, May 1 at 3 p.m. The anniversary season will be celebrated with a free 25th anniversary party after the final concert on May 1, to which all ticket buyers are invited. 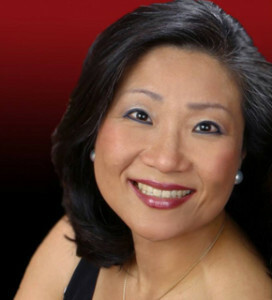 To learn more about Musical Masterworks, visit www.musicalmasterworks.org. 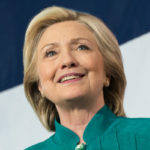 It’s Connecticut’s Presidential Primary Day — Don’t Forget to Vote! All registered Democrats and Republicans can vote in today’s Presidential Primary election. Unaffiliated registered voters must wait until the November election to cast their ballots. Deep River Town Library – Community Room. 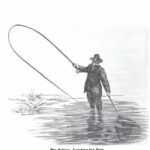 CHESTER – On Saturday June 25, from 10 a.m. to noon, the Chester Library will present a free workshop on the craft of fly tying and how to fly fish for ages 10 to 15. The instructors will be Chester resident John Merola and Old Lyme resident Mark Lewchik. John and Mark have both been fly fishing and fly tying since around the age of ten; they are considerably older now! They bring over 80 years of combined experience to the table at this event. Attendees will learn about the materials and tools of fly tying and then be given the opportunity to tie a fly or two themselves. Next, the group will learn about the basic equipment required for fly fishing with an emphasis on fishing for panfish and trout. Finally, the group will go to the library lawn and learn how to fly cast. Space is limited to 10 people, so preregister is required. Call the library at 860-526-0018. 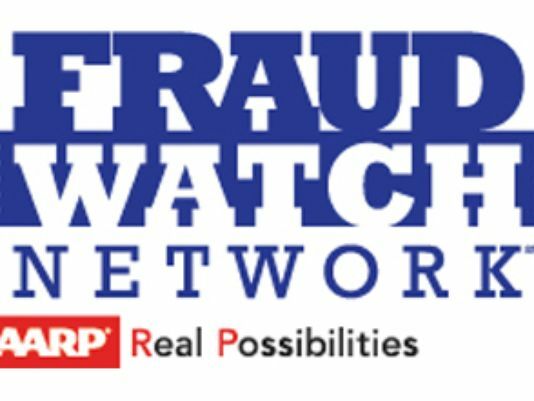 AREAWIDE – Senator Art Linares, Senator Paul Formica, Representative Devin Carney will present an AARP Fraud Protection Forum at Estuary Council of Seniors, 220 Main St., Old Saybrook, on Friday, June 24, from 12:45 to 2:15 p.m. The AARP Fraud Watch Network has been invited to present “The Con Artist’s Playbook.” All are welcome. OLD SAYROOK – The Katharine Hepburn Theatre presents Kyle Carey in concert on Thursday, June 23, at 7:30 p.m.
Kyle’s debut album Monongah, produced by former Lùnasa guitarist Donogh Hennessy, rose to number eight on the Folk DJ charts, landing on a number of “Best of 2011”lists by year’s end. 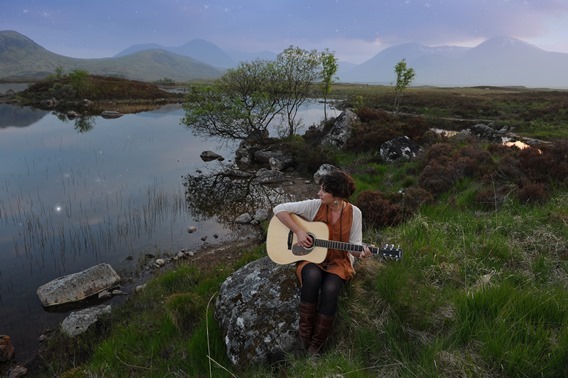 Her original songs draw heavily from the American folk tradition, while her fluency in Scottish Gaelic makes for her own brand of “Gaelic Americana” music. Kyle’s sophomore release North Star recorded in Scotland and produced by Solas founding member Seamus Egan was released in the fall of 2014 to widespread critical acclaim, charting at #45 in the top 200 CDs of 2014 compiled by Folk DJs nationwide. Having toured for five years on both sides of the Atlantic, Kyle Carey is a unique and innovative artist not to be missed. Doors open at 7 and the show begins at 7:30. Tickets are $20 to the general public and can be reserved by calling 877-503-1286 or by visiting www.katharinehepburntheatre.org. The theater is at 300 Main St., Old Saybrook. More information: www.kyleannecarey.com and www.katharinehepburntheatre.org. IVORYTON – A captivating celebration of the life and music of folk musician John Denver is be performed at the Ivoryton Playhouse through April 24. This Connecticut premiere features versatile musicians David Lutken (Ring of Fire) and Katie Deal, who have been with the show since its original production at Milwaukee Rep. They present an unvarnished rendition of Denver’s music with gorgeous harmonies, solid musicianship and honest to goodness talent. John Denver was about more than country music. He had enormous international appeal, and was equally popular with country and pop audiences. In addition to music, he was an activist and humanitarian whose biggest causes were land conservation and environmental awareness. He supported space exploration and was vocal about his stance in music censorship. He left behind a musical legacy that still resonates with audiences today. Created and directed by collaborators Randal Myler ( a two-time Tony Award nominee) and Dan Wheetman, this production does not offer a standard biography of Denver. Instead, Wheetman presents his own story, as a musician who’d known Denver as an Aspen neighbor before touring with him for eight years. As embodied by Lutken, Wheetman’s story sheds light on Denver’s own, with parallels including a love for Colorado, the hardships of life on the road and the consequent toll on marriages. But as Denver once sang, in another song included in this show, it’s his guitar that gave him his life, his living, and “all the things you know I love to do.” Focused on that guitar, Back Home Again movingly captures what those things were and why Denver’s music still matters. Back Home Again: On the Road with John Denver performance times are Wednesday and Sunday matinees at 2 p.m. Evening performances are Wednesday and Thursday at 7:30 p.m., Friday and Saturday at 8 p.m.
ESSEX – The Essex Wellness Center presents a nine-week River Valley Slim-Down Challenge, beginning April 23. The challenge is a “biggest loser-style” competition where the participants with the largest percentage of weight lost over the challenge period share prize monies and receive prizes from local businesses such as massages, makeovers, and more. Participants pay a small registration fee and then participate in a minimum of two (but normally three or more) classes per week at the Fitness on the Water studios such as barre, yoga, spin, Zumba and Tabata bootcamp (a form of high intensity, interval training that gets results – fast!). Donna Scott, the program manager, is at the Fitness on the Water studios early with the first classes for those wanting to work out before work. Other classes are run during the day for moms of school-age children or in the evening. In addition, mini-workshops and consultations are provided by Dawn Swope, an experienced health coach, during the nine-week challenge. Fitness on the Water, a private fitness studio operated by Essex Wellness Center, is at 8 Novelty Lane in Essex Village. More information at http://www.essexwellnessctr.com/ or email donna@fitnessonthewater.com or call (860) 581-8225. CHESTER – Do you remember the smell of Grandma’s matzah ball soup simmering on the stove as she prepared for Passover seder? If you are looking for an opportunity to reconnect with your Jewish heritage, Congregation Beth Shalom Rodfe Zedek in Chester invites you to learn about its Community Passover Seder, on the second night of Passover, Saturday, April 23, starting at 6 p.m. The family-style seder, led by Rabbi Rachel Goldenberg and Cantor Belinda Brennan, will stimulate lots of discussion, participation and singing. The meal, prepared by Bob and Linda Zemmel, owners of Alforno Restaurant, will include brisket, chicken, homemade matzah ball soup and many side dishes. There will even be kid-friendly options. Call the CBSRZ office at (860) 526-8920 for information on prices and to make a reservation or look at www.cbsrz.org. Reservations are required no later than April 8. 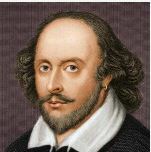 ‘The New Consort’ will present a concert commemorating the 400th anniversary of the death of William Shakespeare on Saturday, April 23, at St. Ann’s Church in Old Lyme. 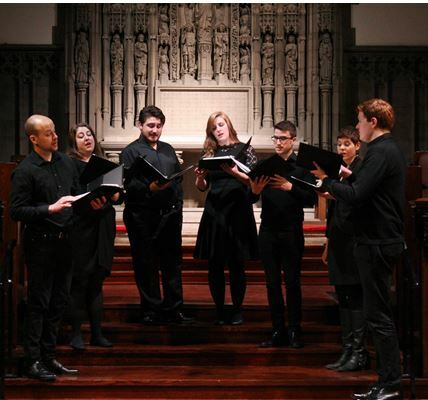 AREAWIDE — ‘The New Consort’ will present a concert commemorating the 400th anniversary of the death of William Shakespeare on Saturday, April 23, at St. Ann’s Church in Old Lyme. Tomorrow, Saturday, April 23, St. Ann’s of Old Lyme presents a special musical program, Much Ado About Music: 400 Years of Shakespeare Set to Song. Another view of ‘The New Consort’ in song. In commemoration of the 400th anniversary of Shakespeare’s death, this musical celebration of the Bard’s enduring legacy will be performed by The New Consort, a project-based vocal ensemble directed by baritone and Old Lyme native Brian Mummert. The evening’s hour-long program will include music written by English composers of Shakespeare’s time, settings of Shakespeare’s texts by a variety of more recent composers, and readings from some of his greatest plays and sonnets. St. Ann’s is particularly excited to present the world premiere of When He Shall Die, composed specifically for The New Consort on this occasion by Lyme resident and Wesleyan emeritus faculty member Sarah Meneely-Kyder. The concert aims to celebrate the life and work of this great artist, whose characters and stories continue to wield influence across our culture to this day. Winners of the 2015 American Prize in Chamber Music, The New Consort was founded in 2014 and has quickly made embracing stylistic contrasts one of its hallmarks: from Renaissance polyphony to contemporary and non-classical works, nothing is off limits. Members of The New Consort come together in shoreline CT for an intensive week of rehearsals leading up to each set of concerts. The group’s singers have appeared in venues including Washington’s Kennedy Center and New York’s Lincoln Center and Carnegie Hall and have performed in ensembles ranging from the Choirs of Trinity Wall Street and the National Cathedral to Chanticleer, but relish the opportunity that The New Consort presents to collaborate with each other as chamber musicians. Admission is a suggested donation of $20 for adults and $5 for children aged 12 and under. The performance will begin at 5 p.m. and doors open at 4:30 p.m. Audience members are invited to meet members of The New Consort at a reception following the concert. Saint Ann’s is an Episcopal parish in Old Lyme, Conn., where the rector The Reverend Canon Mark Robinson and the temporary assistant rector The Reverend Patricia Hames invite and welcome all visitors to this family-friendly event. Saint Ann’s is located at 82 Shore Rd. (Rte. 156), two miles off I-95, Exit 70. Parking is adjacent to the church. For reservations and more information, contact Kathy Rowe at 860-434-1621, via email at office@saintannsoldlyme.org, or visit Saint Ann’s online at www.saintannsoldlyme.org. ESSEX – At its monthly meeting, the Essex Republican Town Committee (ERTC) endorsed candidates for the upcoming election in November. State Senator Art Linares, the incumbent from Connecticut’s 33rd Senate District, and Bob Siegrist, the challenger in Connecticut’s 36th House District, received unanimous endorsements from the committee. This sale helps raise the much needed, unrestricted funds for Child and Family Agency, a 200-year-old non-profit organization that serves over 18,000 children and their families from 79 towns. The Essex River Valley Auxiliary of the Child and Family Agency will be hosting Intake for the sale at the Essex Town Hall at 29 West Ave. on Thursday, April 28, from 10 a.m. to 6 p.m. “Please Bring the Best and Leave the Rest,” the Auxiliary members say. They will help you unload your car, and if you call them at (860) 526-3124 in advance, they will arrange for a pickup of bulkier items. You’re even invited to stay and help and make friends while sorting clothing, books, household goods and shoes. Donation letters will be available for you at the site. 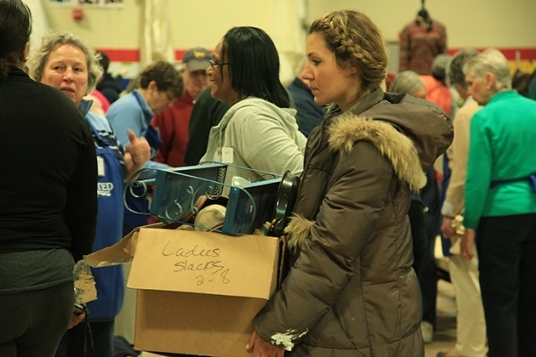 All donations will be boxed and transported to the New London Armory at 249 Bayonet Street, New London, where they will be combined with the donations from five other Auxiliaries for the Annual Sale to be held on May 5, 6 and 7. Please call Pat Thompson at (860) 227-7551 with any questions or to learn how you can volunteer. CHESTER – The Chester Sunday Market takes place on Sundays through the summer. Seven farms bringing produce – Chatfield Hollow Farm, Deep Hollow Farms, Dondero Orchards, Hunts Brook Farm, Sage Hill Farm, Upper Pond Farm and Wellstone Farm. Meat, fish and poultry from Four Mile River Farm, Gourmavian Farms, Maple Breeze Farm and The Local Catch. Beltane Farm bringing cheese & dairy products. Bread from Alforno Restaurant and Howard’s Breads. Plus, flowers and honey and jams and pickles and biscotti from: Hay House, Stonewall Apiary, Little Bird Provision Co. and Biscotti and Beyond. Live music is lined up for each week, beginning on June 12 with Deep Blue Remedy. The bands play from 11 a.m. to 1 p.m.
Market hours are 10 a.m. to 1 p.m. Because Main Street is closed to traffic between West Main St. (Rte. 148) and Maple St., shoppers are invited to park in the town public parking lots on Maple Street and at 20 Water St. (Rte. 148). Well-behaved dogs are welcome. Shops and galleries are open during Market hours and often offer special happenings. You can find late breakfast or lunch at the restaurants in Chester Center, or buy some pizza on the street from one of the vendors, Frank Andrews Mobile Kitchen. More information about the Chester Sunday Market at: Facebook.com/ChesterSundayMarket and http://chestersundaymarket.jimdo.com/. You can also find out more about Chester at Facebook.com/VisitChesterCT and Facebook.com/AlwaysonSundayinChester. 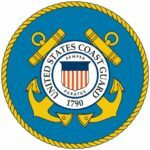 ESSEX – As part of its effort to educate the public about safe boating practices, the U.S. Coast Guard Auxiliary will offer a four-hour course on Navigation and Chart Reading at Essex Public Library in Essex on Saturday, June 18. The course will take place from 10 a.m. to 2 p.m. and the registration fee will be $40 per person. This course is a practical hands-on course on chart reading and navigation, essential skills for any boater. Space is limited and all navigation and chart reading materials will be provided. For more information or to register, contact Auxiliarist Frank Connolly at fbconnolly@sbcglobal.net or (860) 342-1084. Preregistration is required. The United States Coast Guard Auxiliary has served as the civilian, uniformed volunteer component of the United States Coast Guard for over 75 years. The 30,000 volunteer members of the U.S. Coast Guard Auxiliary donate millions of hours in support of Coast Guard missions, such as search & rescue, public education and maritime domain awareness. For more information, please visit www.cgaux.org. CHESTER – Chester Public Library’s summer program for children of all ages kicks off on Saturday, June 18, at 10:30 a.m. 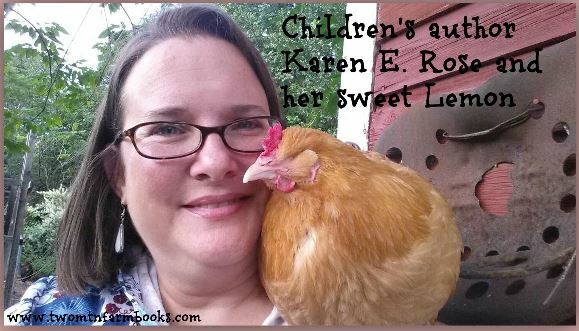 Author Karen Rose will read her funny stories of chickens at Two Mountain Farm and will then answer questions about how she became a writer and why she uses children for illustrators. This will be followed by relay races (can you carry a book on your head? ), a contest to win a slip ‘n slide, and refreshments. Then, on Monday, June 20, from 10:30 to 11:30 a.m., Monday Stories & Crafts for pre-K to 2nd grade begin, with “Down by the Sea.” Kids will make a seashell mobile and take home the ocean in a bottle. Each week will have a special focus. Older kids are invited to enjoy Wednesday afternoon programs, from 4:30 to 6 p.m. The first one, on June 22, for grades 6-8 will be “Testing The Waters,” presented by the DEP. Be a scientist. Identify microscopic creatures living in our water ways, test and measure biological and chemical elements. Create a “clean water” sample. The following week, on June 29, grades 3-8 are invited to learn about “ham radio” from Carl Nord. Pick up a full schedule of summer events for all ages at the library. Registration is required for all programs. Chester Library is at 21 West Main St., near Chester Center. Call 860-526-0018. Participating in the ground-breaking ceremony at Kirtland Commons last Friday were (from left to right) Karl Kilduff, Executive Director, CHFA (CT Housing Finance Authority), Helen Muniz, Community Development Specialist, State of Connecticut Department of Housing, Joann Hourigan, Executive Director, Deep River Housing Authority, Jim LaRosa , Chief Operating Officer, LaRosa Building Group, Chris Widmer, Architect, Mazie Dennison, Tenant Commissioner, DRHA, and Dave Oliveria, Selectman, Town of Deep River. Deep River Housing Authority breaks ground for an 18 unit addition to Kirtland Commons, its Elderly/Disabled affordable housing facility. The project also includes rehab to the existing 26 units. 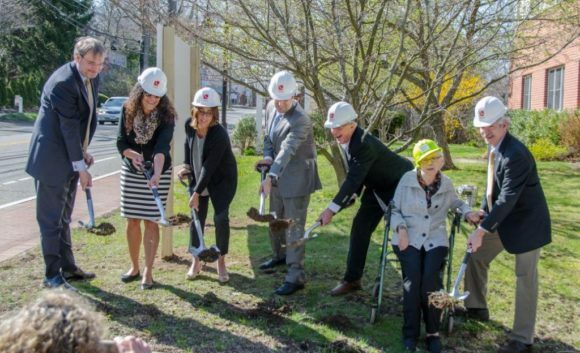 DEEP RIVER — The Deep River Housing Authority (DRHA) hosted a ground-breaking ceremony Friday at its elderly/disabled income-based housing facility, Kirtland Commons, located at 60 Main St. in Deep River. The current facility has been providing housing for the past 23 years and currently has 26 one-bedroom apartment units that are available to seniors aged 62 and over, as well as disabled individuals. The new addition will provide an additional 18 one-bedroom units. The project is made possible through a $3.2 million dollar grant and $1 million dollar recoverable grant from the State of Connecticut, Department of Housing (DOH.) In addition to the new units, the existing units will be rehabbed including new doors, windows and heating conversion to natural gas. Joann Hourigan, Executive Director of DRHA, will oversee the project with the assistance of Dale Kroop, Consultant and the DRHA Board of Directors. La Rosa Building Group LLC, headquartered in Meriden, is the general contractor and Chris Widmer of Guilford, Conn., is the Principal Architect. The project is scheduled for completion in the early spring of 2017. “Until there is a need, people generally don’t understand that the availability of affordable housing is limited. I receive calls every week for people who can no longer afford to maintain their homes on their limited income. They are surprised to learn that submitting an application places them on a waiting list with recent wait times of two years or longer,” said Hourigan. While the grants provide the majority of funding for this project, there are additional projects and funding needs. Last December, DRHA kicked off a “Buy a Brick” fundraising campaign. Commemorative bricks are available for $50 and $100 and will be placed in an outdoor sitting area in front of the building. Forms for buying bricks will be made available at several events throughout the year, and can also be obtained by contacting Hourigan directly at (860) 526-5119. Kirtland Commons is owned and operated by the DRHA and reports to the Connecticut Housing Finance Authority (CHFA). DRHA consists of the Executive Director; a four member volunteer board appointed by the Deep River First Selectman; and a Resident Commissioner (who resides at Kirtland Commons and acts as a resident representative). The board is committed to providing high quality, well maintained affordable housing and promoting a welcoming, family atmosphere. Peter Good and Janet Cummings created a Walking Town decal and pewter ornament. CHESTER – For years, the town of Chester knew the state was requiring that the Main Street Bridge be rebuilt, and this caused a lot of angst among merchants, selectmen, and residents. How would we cope with keeping the town center viable and reachable? Would the shops, restaurants and galleries continue to attract customers? Where would people park? The selectmen required that the state do the reconstruction from the beginning of January 2016 until Memorial Day, to get it over with before summertime shopping and the Chester Sunday Market began. The town’s Economic Development Commission created a “Survival Guide” and held several planning meetings in an effort to minimize the impact on the business district. 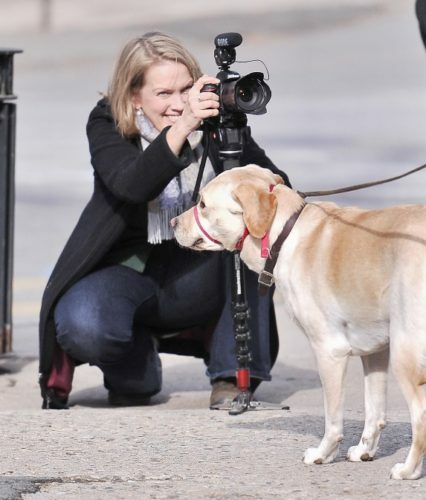 Annalisa Russell-Smith, of Chester-based Local Plant Productions, then volunteered to create a video of Chester Center with the song in the background. This month, Annalisa’s video was selected for a Gold Award by the Hermes Creative Awards, an international competition for creative professionals involved in the concept, writing and design of traditional materials and programs, and emerging technologies. Hermes Creative Awards is administered and judged by the Association of Marketing and Communication Professionals. Watch the video about Chester here: https://vimeo.com/157448900. For more information about Annalisa Russell-Smith, go to http://www.localplanetproductions.com. More information about the Hermes Creative Awards here: www.hermesawards.com. ESSEX – The Essex Art Association will continue its 2016 season with the Elected Artists Member Show, which is on view through June 25. Juror, Judy Atlas, is an exhibiting member of City Gallery in New Haven and teaches art classes at Creative Arts Workshop, also in New Haven. A total of $1900 in award money will be given to exhibiting artists for their work in various media. 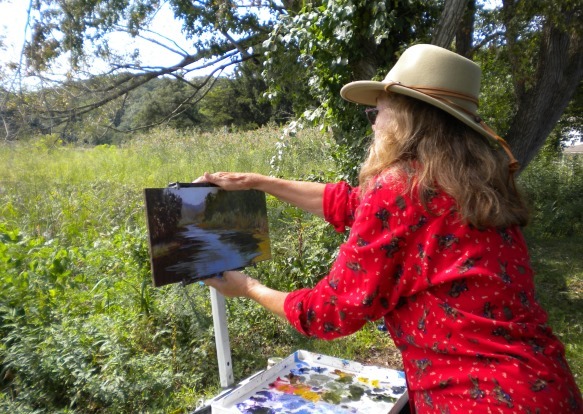 Each season five EAA artists are selected by a juror to exhibit their work in the small “Exit Gallery.” The Exit Gallery artist during this exhibition is plein air painter Dianne Gorrick, who creates vibrant works of art depicting the beauty of the natural world. Although she selects peaceful subjects, her paintings are invigorated by bright colors and impasto painting. Gorrick’s paintings display skill and knowledge, which she acquired from years of study and exploration. After earning a bachelor’s degree from Purdue University and a master’s in Studio Art from Wesleyan University, she continued her education in painting at the Lyme Academy of Fine Arts, Dartmouth College and the Scottsdale Artist School with the Plein Air Painters of America. 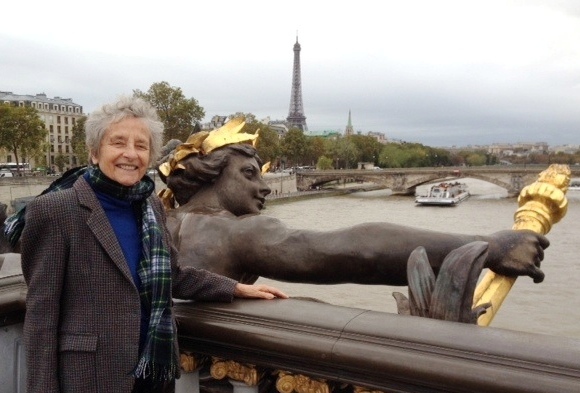 Her artwork has been exhibited throughout the state of Connecticut, earning numerous awards and grants over the years. She is the recipient of two National Endowment Fellowships; a research grant concerning the Hudson River School of Painters and a fellowship to attend Dartmouth College, where she studied the art and culture of New England. Her work has been included in exhibitions at the Wadsworth Athenaeum, the New Britain Museum, the Slater Museum, and the Ward-Nasse Gallery in NYC. She is an Elected Artist of the Essex Art Association and the Mystic Art Center. Currently, she teaches painting and drawing at the Glastonbury Art Guild. 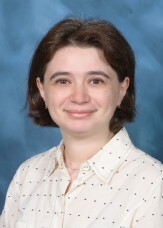 Gorrick had a long and rewarding career as an art educator in the public school system at Bacon Academy, where she also served as department head. The Essex Art Association Gallery is located in the sunny yellow building in the center of Essex at 10 North Main Street. Gallery hours are 1-5 p.m. daily, closed Tuesdays. For more information, call 860-767-8996. Join Tri-Town Youth Services for Weekly Rambles this June! Tri-Town’s Parent Resource Coordinator invites local families with babies and young children to walk and talk on Friday mornings in June. We will gather at some of the area’s most beautiful parks for stroller-friendly walks from 10 a.m. to noon. Parents will get out in the nice weather, visit with other adults and have a chance to ask parenting questions or chat about current challenges. Toddlers in the group will enjoy some fun, nature-based activities after our walk. Caregivers are welcome to come to as many Rambles as they are able, which will be held at different locations each week. To register and obtain a schedule, call Tri-Town at 860-526-3600 or register online at www.tritownys.org. AREAWIDE – Con Brio, the shoreline’s all-auditioned chorus, offers its spring concert on Sunday, April 17, at 4 p.m. at Christ the King Church in Old Lyme. Vocal soloists include Danielle Munsell Howard and Laura Gladd, soprano; Donna Bishop-Seaton, contralto; Ransom Bruce and Bill Sorensen, tenor; and John Dominick III, bass. The concert opens with two well-paired pieces: Dvorak’s Te Deum and Beethoven’s Choral Fantasia. Commissioned to write a piece in 1891 in celebration of the 400th anniversary of the discovery of America, Dvorak composed the Te Deum and performed it at his first concert in New York as director of the National Conservatory of Music. This liturgical hymn to God has been described as one of the most “spectacular” of Dvorak’s compositions. Often considered a precursor to Beethoven’s Ninth Symphony, the Choral Fantasia premiered in 1808 at what might be considered the greatest of classical concerts ever performed, an hours-long concert that included the premiers of Beethoven’s Fifth Symphony, Sixth Symphony (The Pastoral), and the first public performance of the Fourth Piano Concerto. The Fantasia develops as a series of variations on a theme, which prefigures that of the last movement of the Ninth Symphony, composed some years later. Tickets at $30 adults, $15 students, are available at www.conbrio.org, from any Con Brio member, or by calling 860-526-5399. 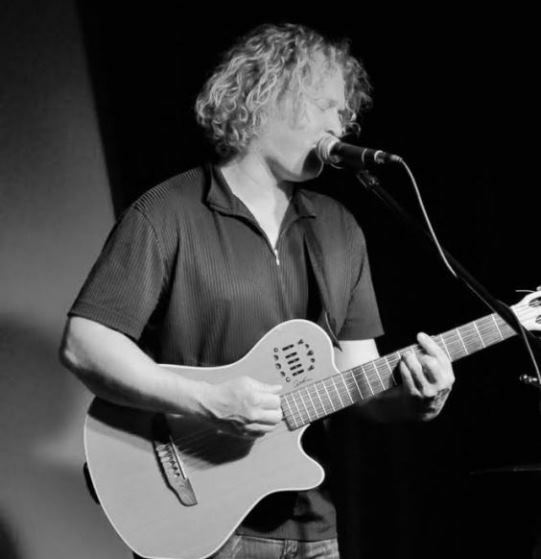 CHESTER – The Leif Nilsson Spring Street Studio and Gallery at One Spring Street in Chester, presents the next Concert in the Garden on Thursday, June 16, from 7 to 9 p.m.
Nova Scotia Singer Songwriter Eric Fresia will perform. Eric Fresia’s eighth album is a stripped-down honest portrayal of his 30 years as a singer songwriter. The album was inspired by a six-month journey in 2015 from London to Morocco, and time spent living in Provence, Barcelona and Andalusia. There are echoes of North African blues and Moroccan rhythms throughout. Eric’s new album is a songbook filled with stories from the road. After years of trying different bands from a four-piece roots/rock band to an eight-piece world music ensemble, and ten years of touring as a trio with two of his children, he is performing these new songs solo, just the way they were written, with one mic, one voice and one guitar. The new album will be released at the 8th Beckwith Bash music festival Aug. 20, 2016 in the Fresias’ backyard. More information at http://ericfresia.com/. A $20 donation at the door is requested. Feel free to BYOB and picnic and enjoy the outdoor bistro style seating in the amphitheater (inside the gallery if inclement weather). Gates open a half hour before the show. First come first seated. Sorry, no pets allowed. 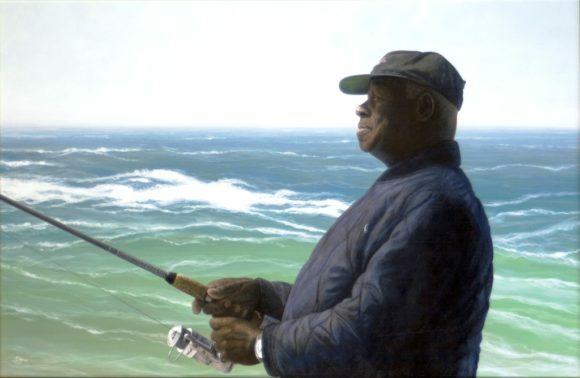 For more information, call (860) 526-2077 or visit http://www.nilssonstudio.com. 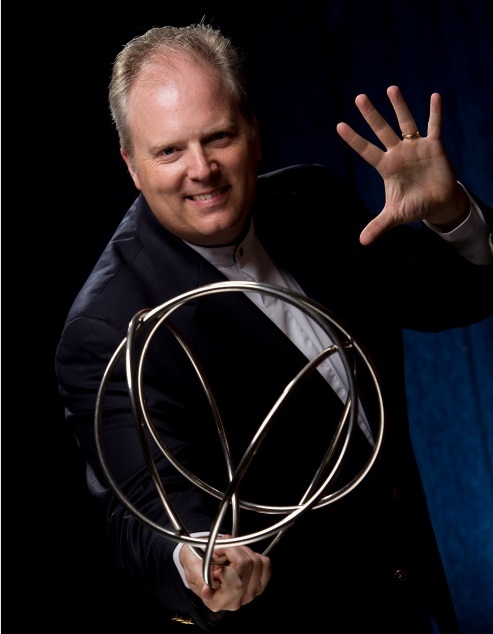 ESSEX – Sleight-of-hand, mind-reading, close-up magic and new, mystical illusions will be showcased at “The Magic Show,” starring magician and ordained minister, David Reed-Brown, returning to Essex Town Hall on Friday, April 15 at 7 p.m. (Doors open at 6:30 p.m.) A highlight of the show will be the levitation of Essex Elementary School teacher Kelli Grace. The performance is sponsored by the First Congregational Church in Essex. Magician David Reed-Brown’s inspiration came at the age of seven when he discovered a secret magic set in an aged wooden jewelry box on top of a dusty piano. The kit had been passed down through the family by his grandfather. Inside the box, David found small wooden magical wonders that filled him with joy immediately. Ever since, he has been studying the art of theatrical magic, becoming a part-time professional magician in 1997. In Las Vegas, David has performed at Jeff McBride’s famous Wonderground, at the Magic & Meaning Conference and the Mount Charleston Hotel & Lodge. He also serves as magic consultant for Denny Moon’s musical “Abracadabra,” and he assisted McBride in the magical direction of Lawrence and Priscilla Khong’s theatrical illusion show, “The Magic of Love” for its North American debut. Tickets for the April 15 Magic Show are $15 for adults and $8 for children and are available at Toys Ahoy in Essex Village and Elephant Crossing in Ivoryton. New this year, there will also be 28 premium, reserved front row seats available at $20 each. Tickets may also be purchased in advance by calling the church at (860) 767-8097. The premium seating tickets are available only at the church at 6 Methodist Hill in Essex Village or by calling (860) 767-8097. At the April 15 show, there will be drawings for three gift certificates to a local ice cream parlor, awarded to children. Proceeds from the evening benefit the outreach missions of The First Congregational Church in Essex, UCC. Sponsors of the exhibit gathered for a sneak peek prior to the Invaders: They Come by Air, Land and Water exhibit opening at the Connecticut River Museum. From left to right are: John Lombardo, Stephen and Viola Tagliatela from Saybrook Point Inn and Spa; Thayer Talbot from the Community Foundation of Middlesex County; Representative Phil Miller; Cynthia Clegg from the Community Foundation of Middlesex County; Joanne Masin and Christopher Dobbs from the Connecticut River Museum; Brenda Kestenbaum from Eyewitness News (WFSB); and Tony Marino and Marilyn Ozols from the Rockfall Foundation. ESSEX – On Thursday night, March 31, the Connecticut River Museum unveiled its 2016 feature exhibit, Invaders: They Come by Air, Land and Water. The exhibit explores one of the most significant threats today to the 410-mile-long Connecticut River Valley: invasive species. The Invaders exhibit is on public display now through Oct.10. 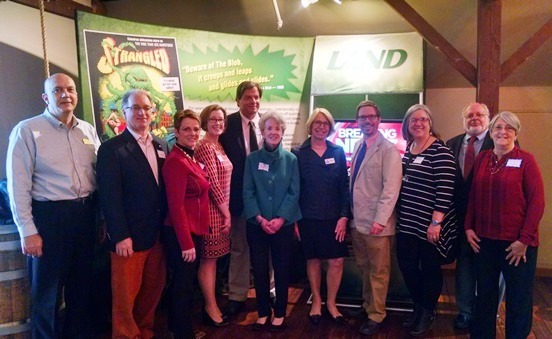 It has been made possible by Presenting Sponsor Long Island Sound Study. Other dedicated sponsors include: Channel 3 Eyewitness News; the William and Alice Mortensen Foundation; the Rockfall Foundation; the Department of Economic and Community Development, Office of Tourism; the Community Foundation of Middlesex County; the Saybrook Point Inn & Spa; the Edgard & Geraldine Feder Foundation; and the many supporters of the Connecticut River Museum. 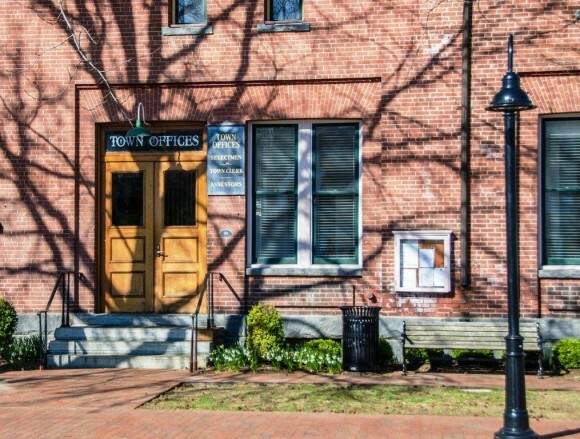 The Connecticut River Museum is located at 67 Main Street, Essex, and is open Tuesday through Sunday from 10 a.m. to 5 p.m. It is the only museum dedicated to the study, preservation and celebration of the cultural and natural heritage of the Connecticut River and its Valley. Looking forward to welcoming guests at When Swing Was King are (L-R): Tom Briggs, CMS music director; Bruce Lawrence, CMS trustee and gala sponsor with Bogaert Construction; Joni Gage, CMS piano and vocal instructor; Karli Gilbertson, CMS artist-in-residence and vocal instructor; vocalist Emma Hunt; and Jennifer and John Bauman, gala sponsors with the Bauman Family Foundation and event co-chair (Jennifer). The event, which is the music school’s largest annual fund raiser, takes place Saturday, April 16 at 6 p.m., at the Lace Factory in Deep River. It includes a lively cocktail hour with passed hors d’oeuvres and silent auction. The party continues with gourmet food stations prepared by Cloud Nine Catering, and fabulous musical entertainment provided by CMS faculty and students. The greatest hits of the swing era will be performed by faculty and students. The eight-piece band will spark up the dance floor with music of Glenn Miller, Tommy Dorsey, Benny Goodman, Duke Ellington, and many more. Don’t forget your dancing shoes so you can learn to jitterbug, lindy hop and boogie woogie! Featured vocal student performers include Emma Hunt of Essex, Mia Lawrence of East Haddam and Barbara Malinsky of Madison. Faculty performers include Joni Gage (vocals), Karli Gilbertson (vocals), Patricia Hurley (trumpet), Andy Sherwood (clarinet/tenor saxophone), Andrew Studenski (alto saxophone), music director Tom Briggs (piano), Kevin O’Neil (guitar), and Matthew McCauley (bass), with special guests Tom Boates (trombone) and Gary Ribchinsky (drum set). Tickets for the evening are $100 per person ($40 is tax deductible). A sponsor ticket of $150 per person provides a greater charitable gift ($90 is tax deductible) and is also available. Tickets may be purchased online at community-music-school.org, at the school located at 90 Main Street in the Centerbrook section of Essex or by calling (860) 767-0026. Support of the Community Music School Gala provides the resources necessary to offer scholarships to students with a financial need, as well as weekly music education and music therapy services for students with special needs, arts education and music enjoyment through in-school presentations and community concerts, and Kate’s Camp for Kids, a comprehensive summer arts day camp in partnership with the Katharine Hepburn Cultural Arts Center. When Swing Was King sponsors include Whelen Engineering Company, the Bauman Family Foundation, Bogaert Construction, Maple Lane Farms, Angelini Wine LTD, Bob’s Discount Furniture, the Clark Group, Essex Savings Bank and Essex Financial Services, Grossman Chevrolet-Nissan, Kitchings & Potter LLC, Ring’s End, Tower Laboratories LTD, Thomas H. Alexa – Comprehensive Wealth Management, Anonymous, Brewer Pilots Point Marina, Dreamscapes Design Group, Guilford Savings Bank, Jackson Lewis, Madison Veterinary Hospital, W. Jay Mills CFP® – The Oakley Wing Group at Morgan Stanley, Periodontics P.C., Reynolds Garage & Marine, the Safety Zone, Sullivan Lawn Services, and Valley Courier. Now in its 33rd year of building community through music, the Community Music School is a private, non-profit organization.